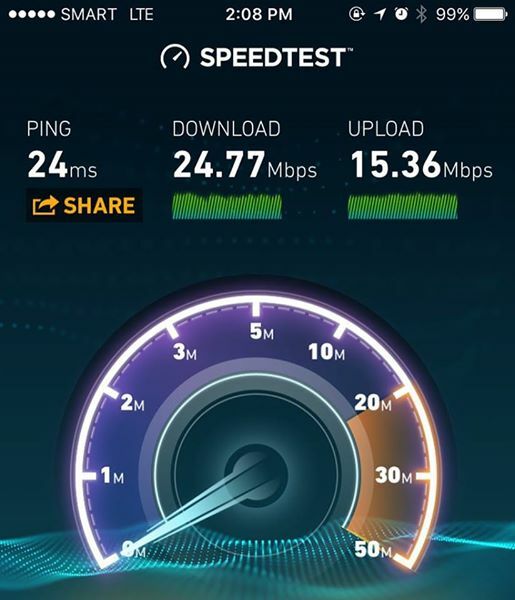 I was invited recently by our friends from SMART Communications to visit Davao City to test their wireless data speeds. I’ve been hearing reports from various Davao-based bloggers that their SMART LTE Speedtest results have greatly improved. 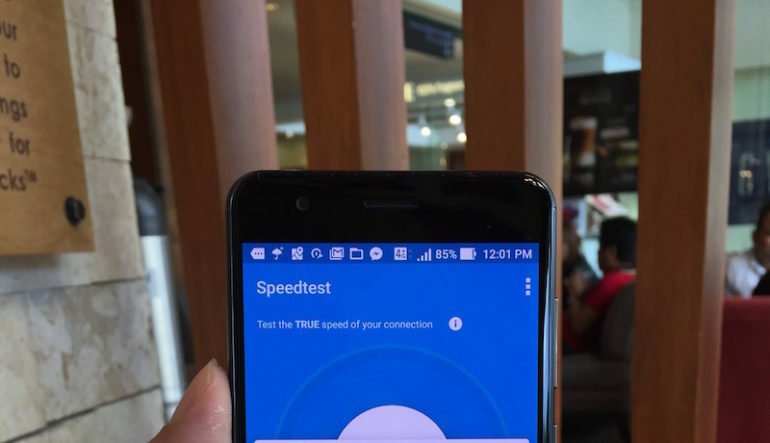 One of them, Ria Jose who is one of Davao’s most influential bloggers told me during an event that the SMART LTE connection in Manila is slower than in her hometown. I didn’t think twice about the invitation and agreed to join the trip, and a few days later, five Tech Bloggers including myself flew in to the Durian Capital of the Philippines. I would like to make it clear that SMART Communications is my advertiser of my blog and paid for my trip. However, I would also like to make it clear that they (SMART) have no control of the content that I have published here. The idea of including their competitor in my tests were purely mine. If you have read this article and think that I am biased, then IT IS DEFINITELY NOT MY PROBLEM. 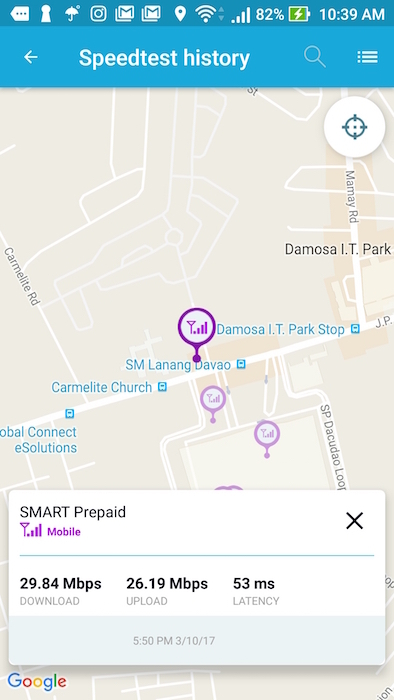 The Assignment by SMART was simple: Go around Davao and test the network speed wherever we went. It was up to us on how we’re going to do our tests. I brought my main smartphone with me, my iPhone 6 with Smart’s iPhone Postpaid Plan. Prior to this trip, ASUS Philippines loaned me a review unit of the ASUS Zenfone 3 Zoom so I thought of using that as my main phone for that weekend with a Smart Prepaid SIM card. Of course I also brought along my MacBook Pro for blogging and video editing. 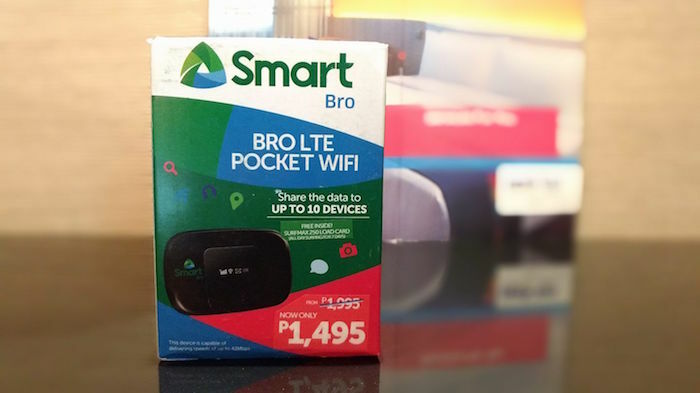 I unintentionally left my Smart BRO LTE Pocket WiFi at home, but thankfully, the SMART Social Media Team gave me a new unit which now cost only P1,495.00! And yes, I would also test the speed of the Pocket WiFi as well. We were originally scheduled to start with our work after lunch in Davao. For some reason, our flights were moved to the afternoon and we were forced to adjust our schedules. Before departing, I noticed that the Zenfone 3 Zoom’s signal has an unusual icon beside it. It’s usually 4G, but the icon showing on the phone had a “+” sign. From what I know, 4G+ means LTE-A a.k.a. LTE-Advanced a.k.a. 4.5G. 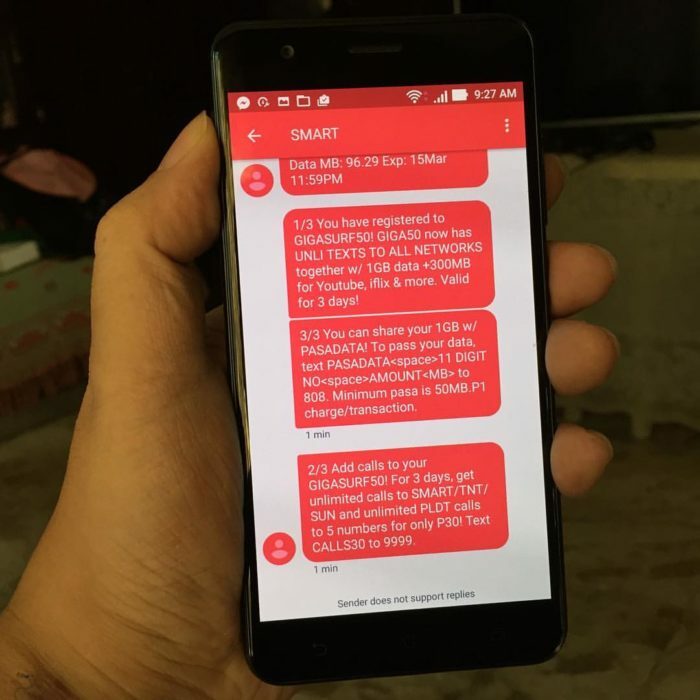 SMART has already announced its LTE-A plans last year in Boracay and from my knowledge, the service won’t be available ’till 2020. 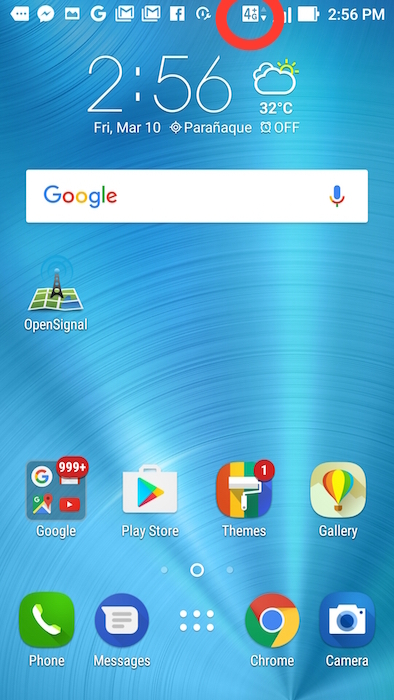 So why do I have 4G+ signal on my phone? I didn’t get to ask that question again upon arriving in Davao. Yes, I know it’s not the fastest 4G+ speed, but I rarely experience that download speed in Manila! We checked in at our hotel, had dinner at SM Lanang then watched Gian (of Gadget Pilipinas.net) play Overwatch until I fell asleep. It’s so nice to sleep in a nice hotel and the thought of waking up late was kinda tempting. However, my weekend in Davao was cut short so I have to maximize my remaining time. I left the hotel and went to SM Lanang to visit the Globe store and buy a Globe LTE Prepaid SIM card. What’s the Globe SIM card for? 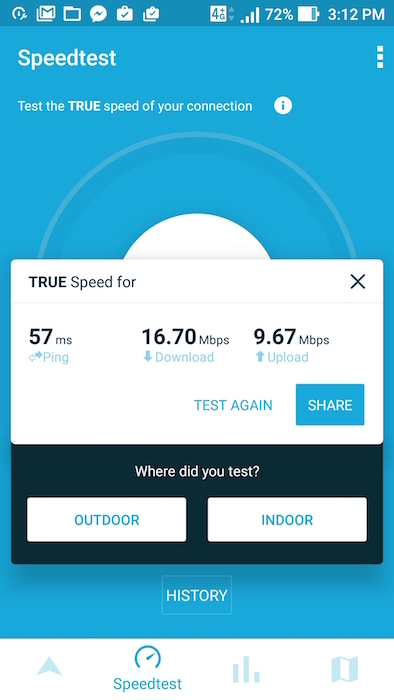 I want to test their data connection as well and compare it with SMART. So now the plan is, wherever I go, I’ll be testing the download speeds of both SMART and Globe. I inserted the Globe Prepaid SIM card on a Huawei GR5 2017, one of the great smartphones with dual-cameras released this year and went to my first destination. I already knew that SMART would lead in this comparison, but I did not expect to be this big! Smart Prepaid’s signal is still on 4G+ while Globe was only on 4G. I took advantage of SMART’s fast connection by uploading photos to my NAS drive in Manila, downloaded the apps on my Zenfone 3 Zoom that needed updates, and streamed HD videos from YouTube without buffering. I also turned on my SMART BRO LTE Pocket WiFi for my laptop and updated its apps as well as doing some drafts for my blog. We left the hotel at noon to have lunch and buy some pasalubong. Accompanied by a couple of SMART’s Social Media team, we dropped by NCCC Mall for a while to check it out. This is where I was able to record the fastest download speed on my SMART Prepaid SIM at 75.24 Mbps! First of all, let me say that SMART’s LTE speed in Davao is LEGIT, and I am not the only one who can confirm this. 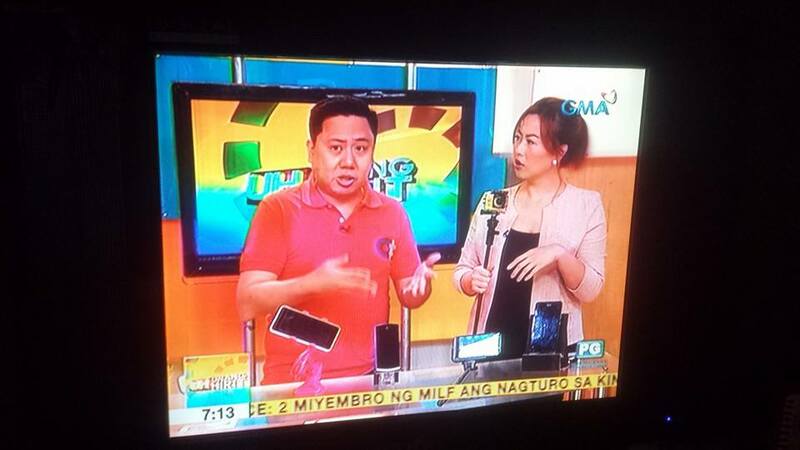 My colleagues in Tech like Gian, Joey (of Pinoy Tech Blog), Adam (of Noypi Geeks), and Mark (of Techpinas) also confirmed the network’s reliability from doing uninterrupted FB Live posts to downloading of apps in mere seconds. Now on to the good news. These kinds of speed is already taking effect in Cebu, Cagayan De Oro, and Rizal province. In fact, I’ll be joining the LTE tests in Rizal province next week. And the best news I have heard so far? Metro Manila will DEFINITELY, ABSOLUTELY experience internet speeds similar to Davao! When? I can’t tell yet, but I know SMART will make it happen. They’re all committed to it. How can I say this? Because I already am experiencing it in my area prior to this trip! One day, I forgot to switch to my house’s WiFi connection and left my LTE on. I thought of downloading app updates on my iPhone and selected all six (6) of them. The six apps were downloaded in a few seconds. Then I opened YouTube where I usually get some buffering pauses on WiFi. No buffering nor pauses at all, even on HD videos. All the videos I played on YouTube played smoothly. Data was not the only thing that was improved. Voice calls done in my living room are now clearer as well as in our dining area. That wasn’t my case before as I have to move to another room for better reception. There are other improvements I’ve noticed not only in my area in Makati, but in other parts of Metro Manila as well. 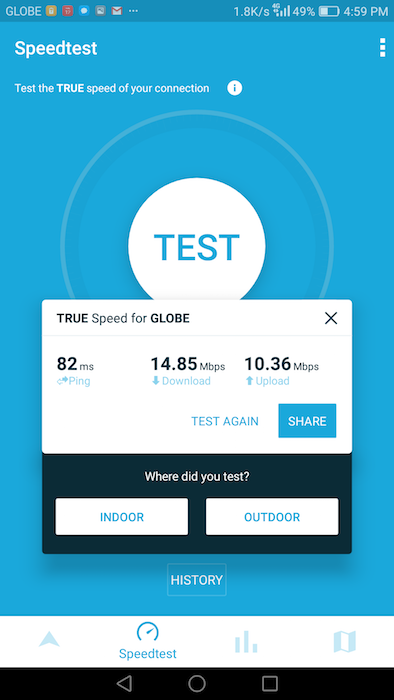 I am optimistic about SMART’s plan to bring better internet to us consumers and I hope that Globe will do the same to their customers. As of the moment, I would commend SMART for doing a good job in Davao City, and I hope to experience the same in other cities including Metro Manila in the near future.